Toddler Mania continues in full swing! 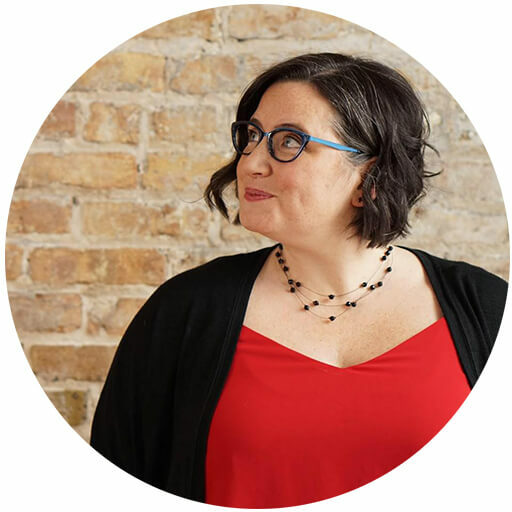 Today, I am so excited about my guest blogger who is sharing a simple toddler sensory bin and I can’t wait to introduce you! 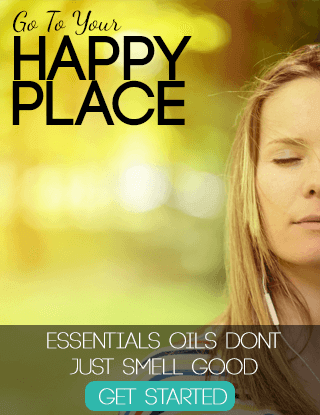 I love Heather over at Golden Reflections Blog and all of the awesome stuff she has been sharing lately. 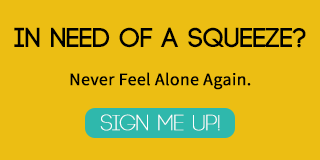 We hit it off right from the start and I think you will love her and her toddler sensory bins. 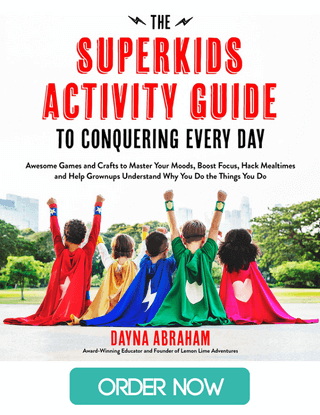 Thank you Dayna for inviting me to share on Lemon Lime Adventures today. 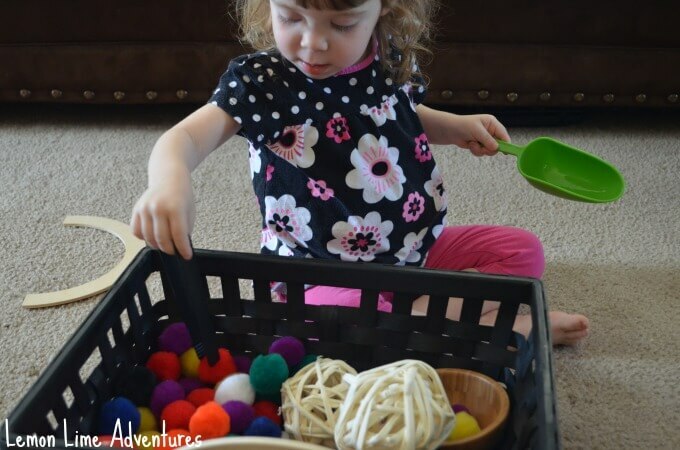 I am really excited to share a great toddler sensory bin idea that I came up with for my daughter, Ellie. She is 25 months old and has shown a lot of interest in shapes and pre-writing skills such as scribbling and drawing lately. Before I had Ellie, I was a Certified Occupational Therapy Assistant and worked in the public school system for 4 years. 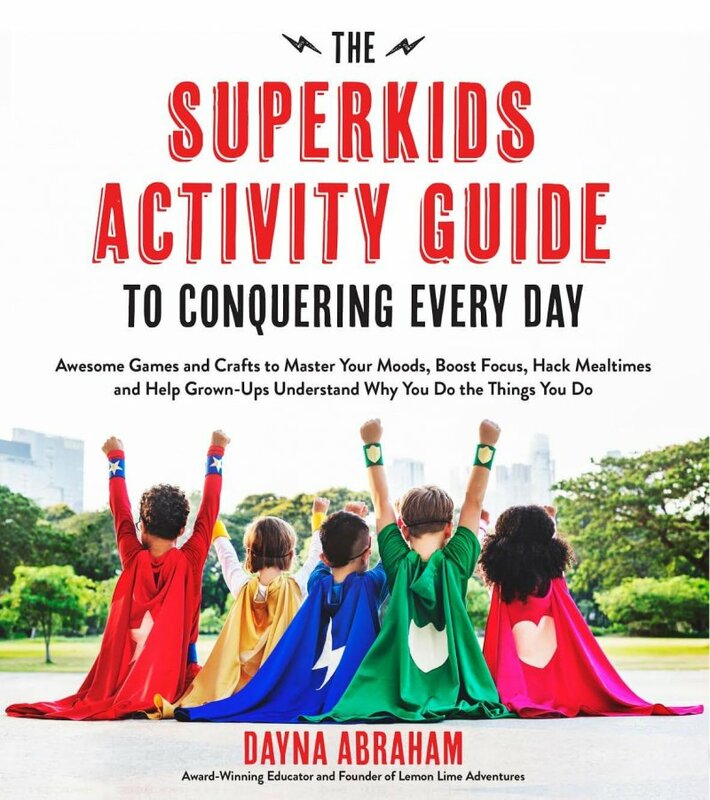 I did a lot of pre-writing activities with the kids and I love sharing even more of those ideas on my blog. Now that I am a stay at home mom, it is fun for me to come up with these hands-on experiences and activities for her based on my previous profession. I also wrote an ebook called Basic Shapes for Beginners, which is a hands-on approach to teaching pre-writing strokes for preschoolers in 6 weeks. It is designed for ages 2-5, however if you have an older child who is struggling with letter formation or handwriting skills, getting back to the basics of pre-writing lines is so important. 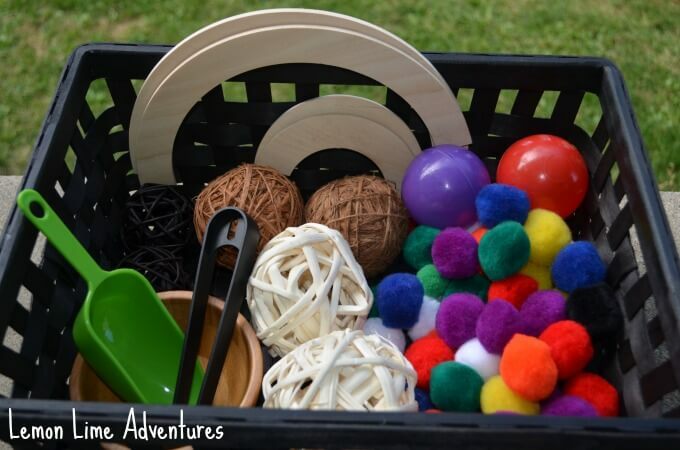 This circle theme toddler sensory bin is one of the activities I have included in that ebook. Here is what you will need to do it at home. Large size pom-poms (please use your judgement in adding these, if your toddler still puts things in their mouth you may not want to include them depending on the size). 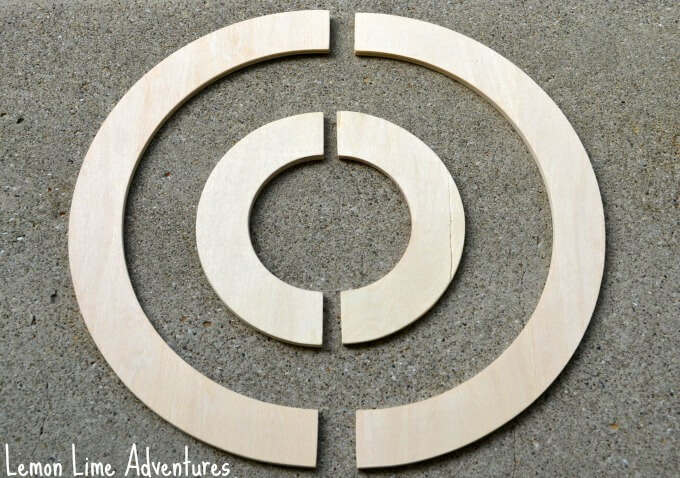 Handwriting Without Tears® Wood Piece Set for Capital Letters – half circle shapes (these are optional, but I like to include them as the pre-writing element to this activity. You could mimic these with foam cutouts or make your own). Any other circle shapes you wish to include from around the house. 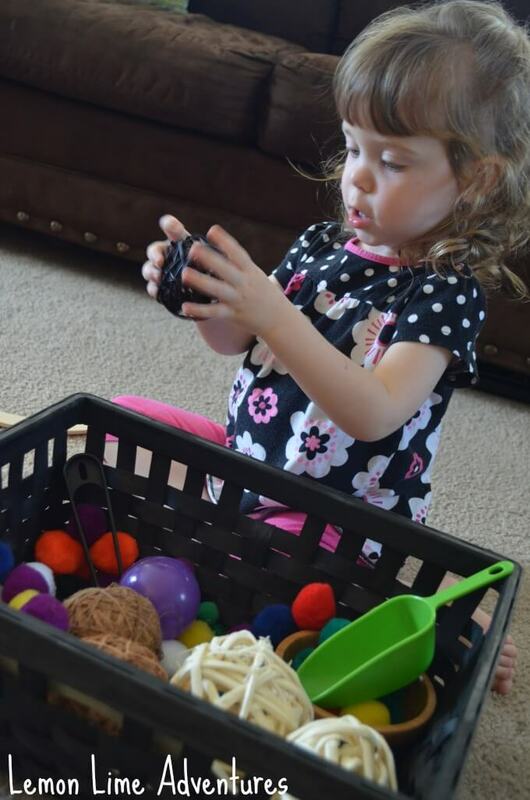 After you gather all your items and put them in your container or basket, the fun can begin. 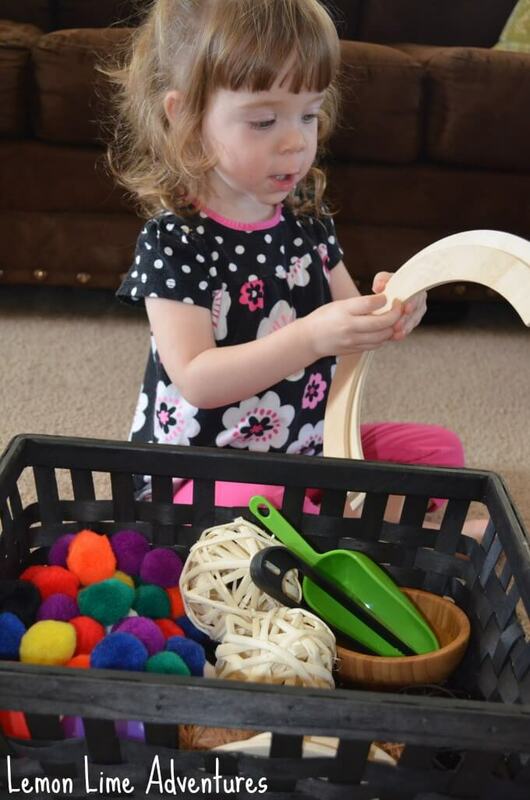 If you have an older toddler or preschooler you could ask them to help you gather the circle shape items and place them in the basket. This is an excellent way for them to work on recognizing the circle shape in every day objects. Since we do a mixture of Montessori inspired and Occupational Therapy activities at home, I just set this up on our Montessori shelf area. I typically switch out our shelf activities every couple of weeks. This keeps things interesting for Ellie and allows me to add more novel tasks and ideas for her to try that are age appropriate. And I won’t lie, it keeps me from being bored too. One of the many reasons I like to include the HWT Wood Pieces for Capital Letters is because of the excellent exposure to pre-writing lines this gives. A typical toddler is beginning to make scribbles and lines on paper. In fine motor development, by the time a child is 3 they should be able to make a full circle shape with crayons or a small pencil. There are so many letters that use the circle or half circle shape. So by including it in this bin, it gives them a chance to explore those shapes and lines in a hands-on way. Have them take their finger and trace over the lines and repeat this short phrase: “Start at the top, circle around, stop.” Circle should also be made in a right to left direction since this mimics how most circle and curve shaped letters are formed. They can also practice placing the two curve shapes next to each other to make circles. And they can explore small versus large circle shapes. 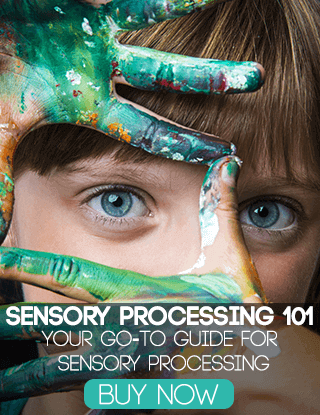 I also want to note, when providing the sensory bins for my daughter, I don’t give her a lot of direction on how to use it. I simply place it on the ground and I might show her the curve lines once and repeat the phrase above to her once or twice. After that I leave her to explore it as she pleases. Of course, I am always close by and will play with it with her if she asks. This not only encourages self exploration but independent play, which I feel is so important for toddlers to have. The bowl, spoon, and scoop are perfect for practicing some practical life skills of pouring and transferring objects. The fine motor tongs or tweezers are a great way to practice proper pencil grasp development for future handwriting skills. If you don’t have the HWT Wood Pieces, not to worry. You can make some yourself, if you know someone who does wood working. Or you can draw the shape out onto a piece of heavy foam or paper and cut out the shapes to include. You would need to have 2 large curve and 2 small curve shapes in order to get the same experience as the wooden ones. Pre-writing skills are anything but sitting down and practicing lines and shapes with a paper and pencil. 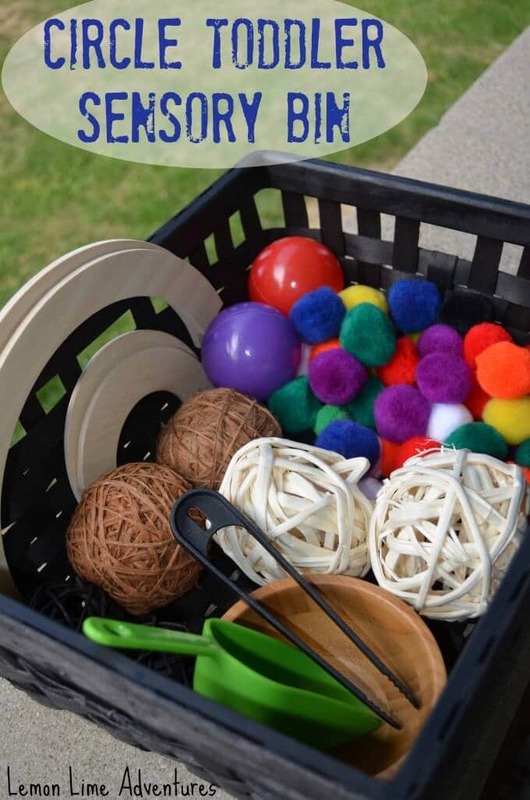 I truly believe that exposing children to pre-writing lines and shapes through sensory experiences will not only improve their fine motor skills, it will also improve their handwriting and letter formation skills later on. Get 30% off Basic Shapes for Beginners with this special discount code for Lemon Lime Adventures readers. ** Discount code valid through Oct. 31, 2014. 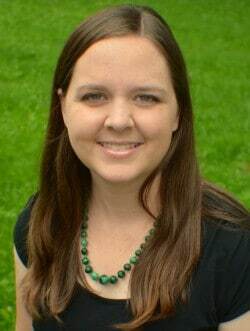 Follow Dayna :: Lemon Lime Adventures’s board All About Toddlers on Pinterest.